Alright. The ‘Mo’ jokes are getting a little grandaddy, but you can’t say they’re not appropriate. For most people, there’s something not quite right about moustaches. They have a touch of the winking, punning uncle about them. Girls don’t like them, they have more than a hint of a much faded past and it has been rather a long time since they were fashionable. However, there is something fascinating about them and Movember is a perfect illustration of how appealing it has become for men to experiment with that peculiar strip of facial hair between their upper lip and nose. However, growing a moustache is about a great deal more than simply growing it. If you’re going for Movember, you should consider styling and shaping your tache to produce a memorable aesthetic that, but for the excuse of this outrageously popular charitable adventure, you might never have seen on your own face. And who knows, you might actually like the look so much you decide to keep it. Here’s your chance to look like one of those black and white photographs of Hollywood stars from the late 1920s and 1930s. Think early-Gable, William Powell and Doug Fairbanks. 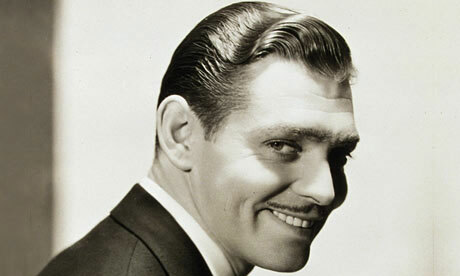 For these titans of the vintage silver screen, the moustache was not a great bush or an extravagant handlebar but a subtle sliver, carefully trimmed. Its effect was that of two small paintbrushes, with the tips well sharpened, either side of the filtrum. Ideal for those who favour the inter-war look with short and slick haircuts. 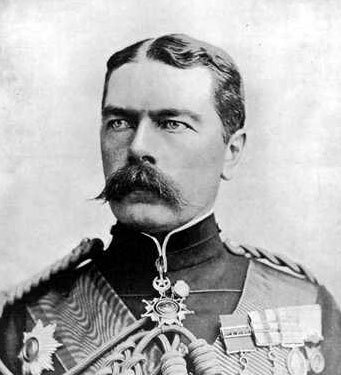 Lord Kitchener’s monster tache is practically impossible to achieve in a month of growth. However, its intriguing shape has made it one of the iconic images of Edwardian tache extravagance. To achieve the junior, which is about half the length of the full Kitchener, considerable growth is needed but particular attention should be paid to shaping the ends into the sharp tips by twisting them with wax. This is an excellent look for those who favour neo-Victorian grandeur in their dress. 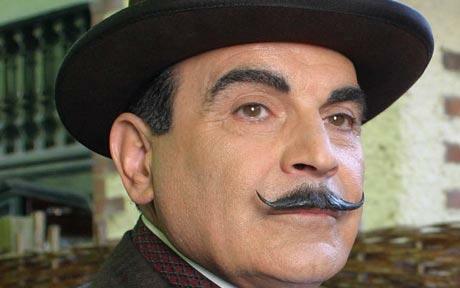 Hercule Poirot was not a man concerned with fashion, and it shows in his heavily waxed and twisted tache and starched wing collars which were, by the zenith of his fame, absurdly out of date. To achieve this distinctive look, great attention must be paid to daily grooming and waxing. The idea is to grow a substantial barrel of hair crossing the filtrum and then to snip the excess hair at the ends to achieve the extremely fine tips. To achieve the glossy shine and to stiffen the elegant ends, apply wax by turning the hair through your waxed fingers. Ideal for dandy detectives and those who crave symmetry and tidiness on their upper lips. I think I might try the film star. Yes Alan a rather impressive example…he has a great profile and features for that style…there is a lot of facial hair around at present! A renaissance perhaps?